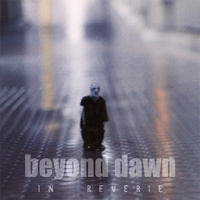 Long anticipated re-mastered and re-packaged re-issue of this out of print and obscure 1999 Beyond Dawn album. Apx. 55 mins. playing time including six acoustic / atmospheric numbers, three remixes and a live track. Two of the tracks are previously unreleased and this jewel-case version also features lyrics for the first time. One of the best Beyond Dawn records, and a must to all fans of dismal, atmospheric music.